James “Jimmie” Benoit, joined The Carpenter Health Network in 2007. Benoit serves as Vice President of Governmental Affairs. Jimmie has primary oversight and management responsibility for protecting and growing the company’s businesses through the influencing of legislation, regulation and public policy. He is responsible for participating in the company’s government relations, legislative advocacy and monitoring interactions with local, state and federal entities. 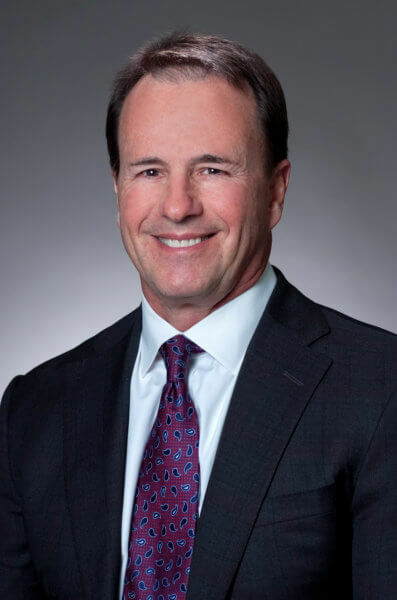 Benoit is a noted healthcare industry specialist with more than 30 years of leadership and award-winning performance in both the public and private sector, including the home health, managed care, pharmaceutical, and insurance industries. Jimmie first joined The Carpenter Health Network as a partner and administrator for STAT Home Health. For twelve years he oversaw the operations of locations in Lafayette, LA and Butte LaRose, LA. As administrator, he assured the provision of effective and efficient services and compliance with all regulations, laws, policies and procedures applicable to home health and Medicare and Medicaid issues. Prior to joining The Carpenter Health Network, Benoit spent twenty years as a top-producing and award-winning performance business development and sales professional in healthcare and insurance. He served four years at Regional Home Care and twelve years at Janseen Pharmaceutica; both in Lafayette, LA. Prior to entering healthcare, Jimmie worked in life and health insurance, serving for seven years as a specialist sales agent for Northwestern Mutual Life Insurance throughout Louisiana. Benoit is a known talent for pooling resources to build solutions-focused cultures. He was selected in 2016 to serve as a member of Governor John Bel Edwards’ Transition Committee on Healthcare. In service to the State of Louisiana, Benoit worked with fellow Healthcare Advisory Team members to examine Louisiana’s hospital public-private partnerships and develop solutions for reducing healthcare costs to Louisiana taxpayers. Benoitis a strong supporter of his local community. He is an active member of numerous organizations including: Kiwanis, Rotary International, Breaux Bridge T-Ball Association, Cajun Cyclist Club, Sigma Nu Fraternity and UL Alumni Association. Jimmie also serves as Regional Advisory Committee member for Region-4 Vocational Technical Center. A native and resident of Breaux Bridge, LA, Benoit earned a Bachelor’s in Business Administration from University of Louisiana at Lafayette, LA.